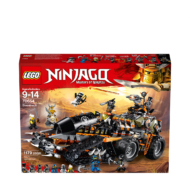 - Includes 7 LEGO® NINJAGO® minifigures: Teen Wu, Jay, Zane, Iron Baron, Heavy Metal, Muzzle and Skullbreaker. - The Dragon Hunters’ Dieselnaut tank features an opening minifigure cockpit, platform with opening roof for up to 2 bad guys, 2 rotating turrets (each with a spring-loaded shooter), crane function, a removable and opening jail for up to 3 minifigures, plus a hidden rear compartment with removable, foldable weapon rack and 3 spears, half moon blade and a tanto. - Statue features detachable Dragon Armor elements: the Dragon Helmet, Dragon Chestplate, Dragonbone Blade and Dragon Shield. 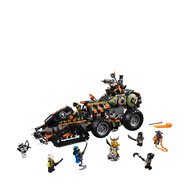 - Operate the Dieselnaut’s crane to grab and lift ninja warriors or the statue. 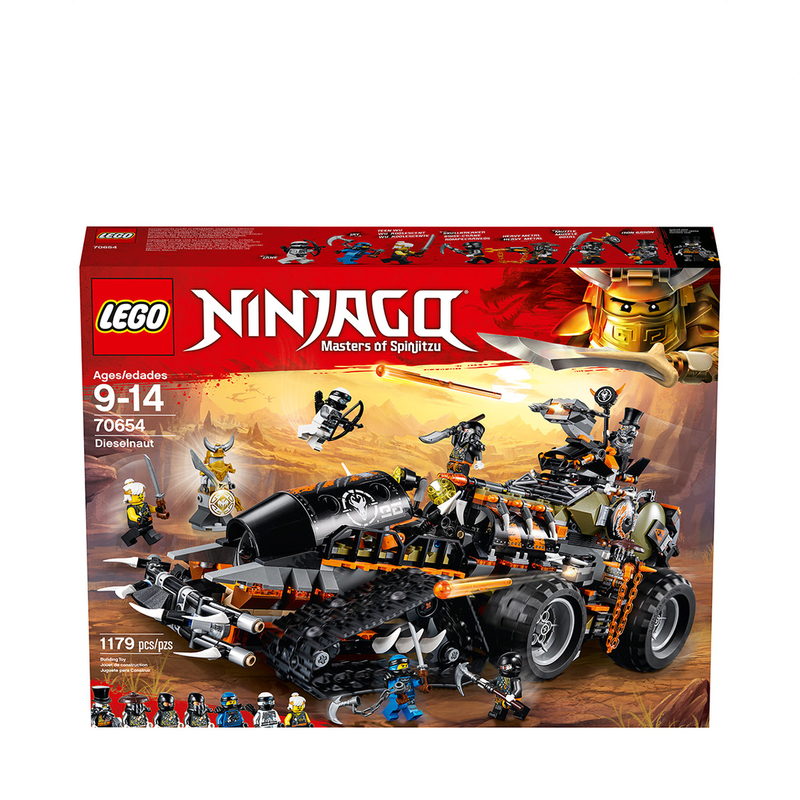 - Weapons include Teen Wu’s buildable katana; Jay’s kusarigama and buildable katana; Zane's bow & arrow; Iron Baron's staff, tanto and cyborg arm; Heavy Metal's Vengestone Chain Rifle; Muzzle's spear; and Skullbreaker's scythe. - Also includes Zane's quiver element. - Find more collectible Dragon Armor in 70650 Destiny’s Wing, 70652 Stormbringer, 70653 Firstbourne and 70655 Dragon Pit. - Dieselnaut measures over 7” (18cm) high, 19” (49cm) long and 9” (23cm) wide.